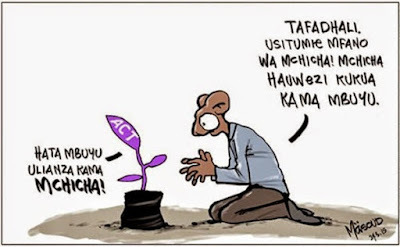 Bright or Bleak Future for the Opposition in Tanzania? 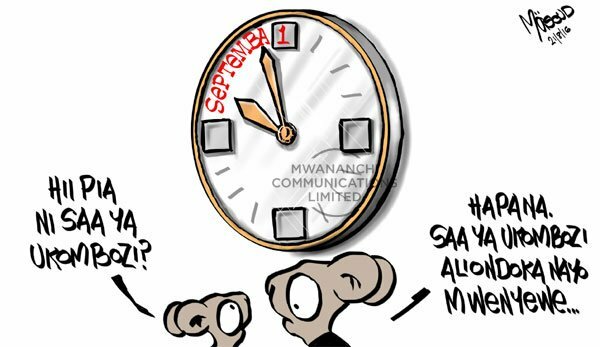 Tanzanians appear united about the positive outcomes of the postponement of nationwide marches that were slated for September 1st. It diffused the political tension that reached its peak with arrests of some politicians. 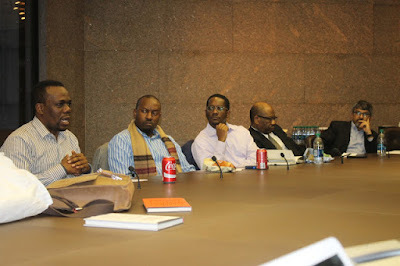 However, we seem divided on its implication on the future of opposition politics in our country. First, there are those who believe that the ‘Party of Democracy and Development’ (CHADEMA) bluffed and got discredited by failing to go ahead with the protest. Its ‘United Front for Protesting Dictatorship in Tanzania (UKUTA)’, they think, crumbled. 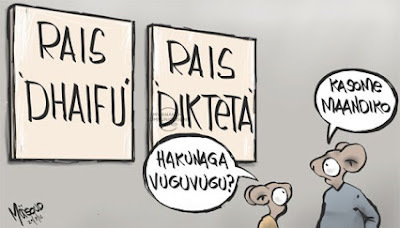 Ironically, this acronym is Kiswahili word that stands for ‘The Wall’. Postponing to October 1st, such critics feel, is another game of bluff. The wall has fallen. And the little credibility left is lost. 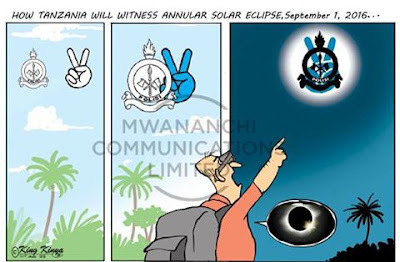 Gone is CHADEMA’s golden chance to redeem itself after discrediting its anti-corruption credentials by nominating, as its presidential candidate, someone it had aptly branded ‘the face of corruption’. 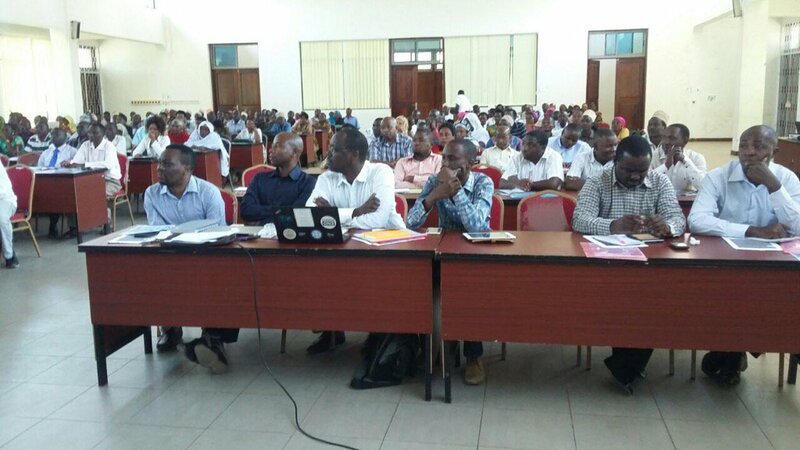 CHADEMA’s ally in the ‘Coalition of the People’s Constitution’ (UKAWA), Civic United Front (CUF), is also facing a crisis of legitimacy. Its former chairperson, Professor Ibrahim Lipumba wants to be reinstated. 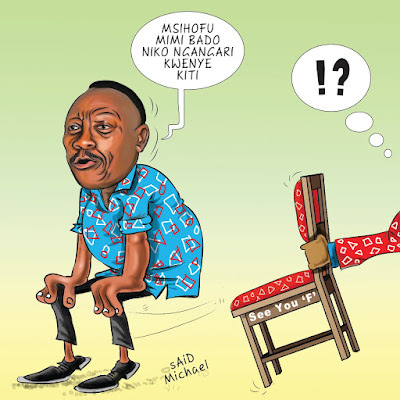 Ironically, he resigned in 2015 after these opposition parties nominated a former Prime Minister, Edward Lowassa, who had defected from the ruling party, Chama cha Mapinduzi (CCM). 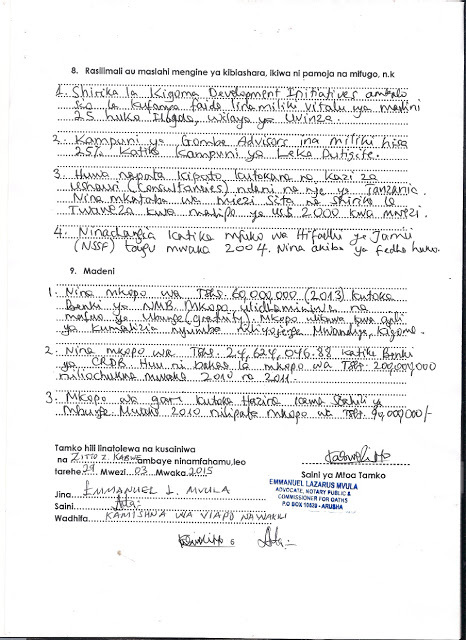 Julius Mtatiro, CUF’s interim chairperson, has publicly accused a relatively new party known as Alliance for Change and Transparency (ACT-Wazalendo) for colluding with Professor Lipumba and the “system” to destabilize it. Evasively, the co-founder of ACT-Wazalendo, Professor Kitila Mkumbo, has dismissed the allegations by arguing that “the first step in solving a problem is to attribute its cause internally” but once you start “attributing it externally you’re close to failing to solving it” as “you have absolutely no control of the external forces”. UKAWA is in shambles. No wonder it hardly supported CHADEMA’s UKUTA. As we have noted elsewhere, we had been there before. 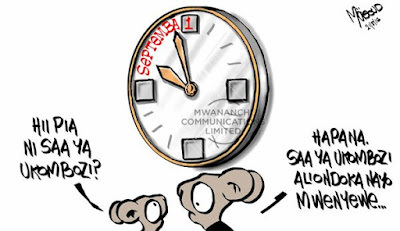 The rise and fall of leading opposition parties in Tanzania is almost cyclic. There was a time the National Convention for Construction and Reform (NCCR-Mageuzi) led the pack, now it is a shadow of its past glories. Then CUF came up. 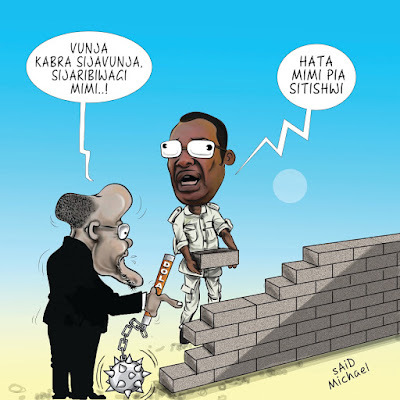 Now CHADEMA is on the brink. As if the main opposition party was not engaging in issues-based politics before we are told that: “Issues like budget management will be critical as signs are out there that the fifth phase government will have more adverse audit opinion than any other before.” Another issue is “Tax revenues”, which he alleges, “are still at the levels of the previous administration.” One is left wondering what then were those alternative budget speeches by the shadow minister for finance all about? Lest I put words on one’s mouth let’s revisit these concluding remarks of his that have galvanized our pragmatic ‘twiterati’: “These are the issues the opposition must bring up. Well-articulated issues backed by expert evidence. Critical analysis of data and of government actions and reactions. The era of scandal-raising politics is over; the regime has co-opted it. Only politics of solutions can support the opposition now. The steady slide towards repression must be fought vehemently. But if the opposition does not articulate issues affecting the day-to-day lives of people, the repression will be supported by people. A coalition of likeminded people who have credentials to fight against corruption and articulate developmental politics must emerge and take up the ideological bankruptcy existing in the country now. 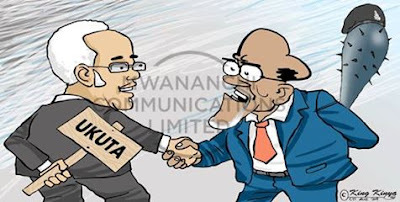 Lack of issues and business as usual weaken the opposition and discredit most of our moves, including the recent UKUTA operation.” As we have noted, he wrote this way before September 1st. Such is the context that enables one to see how technocratic approaches to politics are shaped. It is not by accident that we are seeing the meeting of the minds between those who started as activists and shifted to being pragmatists. 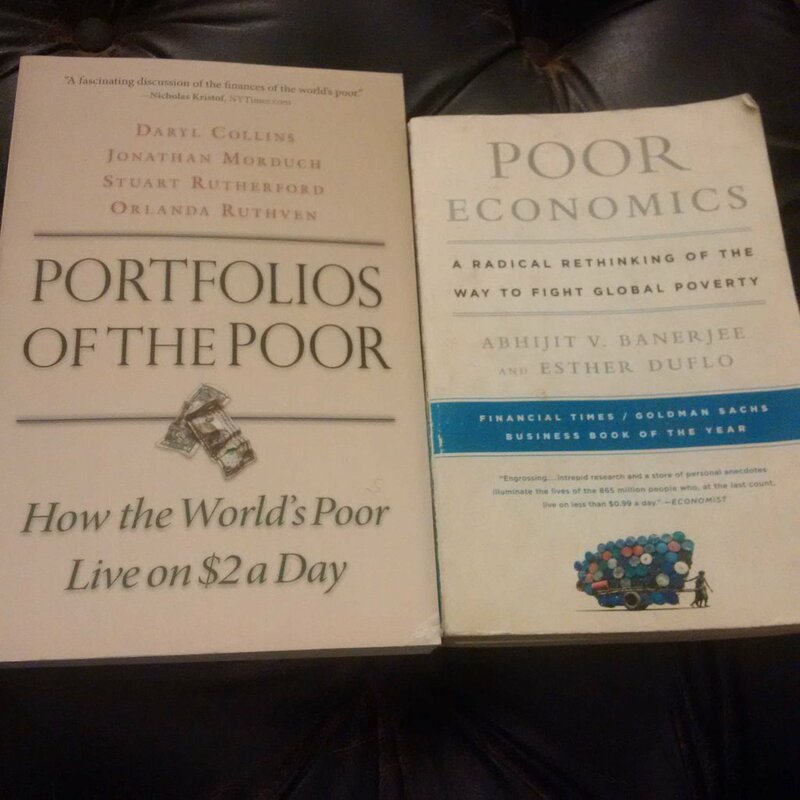 Now, for them, change primarily comes through roundtables and not the streets. Yes, in the Open Government Partnership (OGP) with Kigoma Municipal Council under ACT-Wazalendo’s leadership that recently saw the Executive Director of Twaweza, Aidan Eyakuze (who is also a Steering Committee Member of OGP), come together with the Member of Parliament for Kigoma Urban, Zitto Kabwe, alongside the ever versatile Professor Kitila Mkumbo and others stakeholders to develop an action plan for implementing OGP’s pilot program in the municipality. Governing, not marching, seems to be the buzzword for the new opposition. Little wonder Zitto Kabwe informs us elsewhere that: “The opposition governs more than 20 local government authorities [LGAs] in the country. 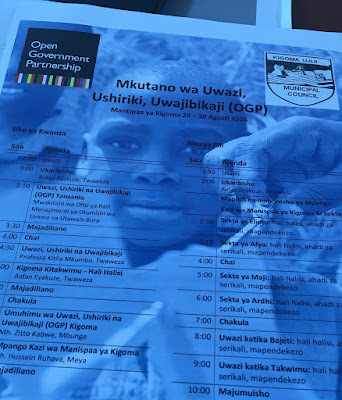 Service delivery to the people in these LGAs [is] CRITICAL.” Tellingly, Edward Lowassa is also on the record claiming that their CHADEMA has graduated from being an activist party to one organizing to be governing. The governance prize they are all aiming for, of course, is the very state they are all complaining is ‘undoing’ democracy. Even our leading critic of the neoliberal discourse of ‘good governance’ vis-à-vis ‘good leadership’, Issa Shivji (@IssaShivji) seems mesmerized by our new breed of pragmatic politicians. “Politics”, he affirms, must prioritize and strategize as it “embrace/articulate burning concerns of the masses”. Whither his ‘organize’, ‘mobilize’ and ‘agitate’? Or ‘populism’ can now hand ‘power’ on a silver platter? I am still convinced that the activist politics of protest and whistleblowing are still very crucial, not least because the state apparatuses want to dictate the war against corruption, that is, make all of us fight or cheer it in their own terms. 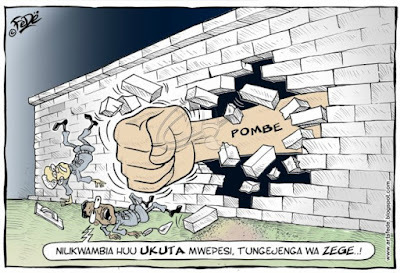 We have seen it recently with the agile move to stop prosecuting three CCM’s Members of Parliament. 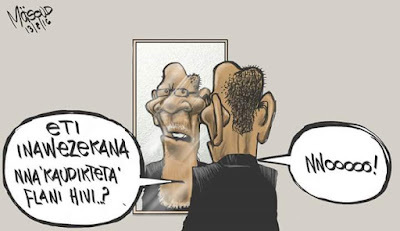 It is visible in the handling of the Lugumi scandal that is purported to be as sensitive to matters of‘national security’ as that of Meremeta. When one of the repressive state apparatuses ‘asks’ ‪@JamiiForums to give it names of anonymous whistleblowers, we should know ‘scandal mongering’ still matters. Hence it is premature, if not irresponsible, to affirm that “the era of scandal-raising politics is over” just because “the regime has co-opted it.” Why would any opposition anywhere in the world be ready to dance to a populist tune of the regime’s orchestra conductor while it is well known that the ‘powers that be’ even if ‘progressive’ do or cover almost anything to protect a ‘ruler’ from falling? Like ‘Castle Black’ in the ‘Game of Thrones’, CHADEMA’s wall might have been breached. But this should not be a sufficient reason to radically change its own modus operandi that has shaken the building blocks for ‘dictatorship’. 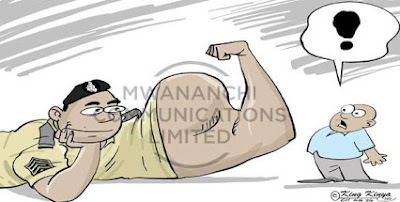 In a way, the anticipated show of force by repressive state apparatuses and recurring counterstatements from ideological state apparatuses are indicators of how responsive our ‘governors’ are to criticism. When they feel its pinch they listen. Quantifying the number of democratic ideals that have been preserved this way could help us see why it is still imperative to appeal to the inner core of the good-hearted ‘leaders’ of our country. Their conscience cannot let them sleep at night without looking at the mirror to see whether what the opposition is protesting in them is indeed true. So, there are ‘changes’ to be achieved the UKAWA way. 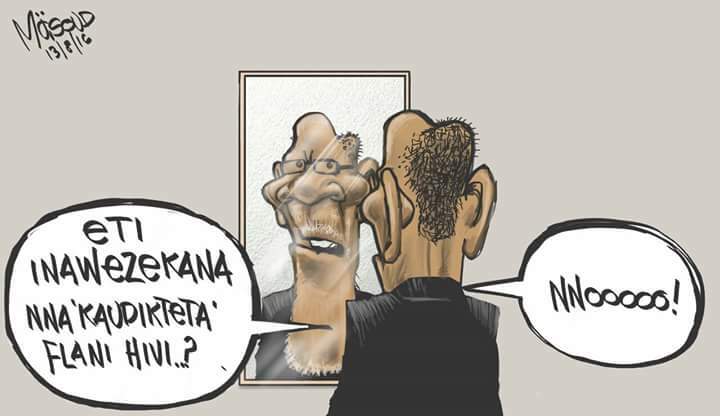 And as ‘crazy’ as UKUTA may appear to the ‘pragmatic’ in us, there are democratic ‘spaces’ we owe it for ‘safeguarding’ even if we just take democracy for granted. Democracy, as Mwalimu Nyerere would remind us, “is an attitude of the mind” worth keeping.